If you have a sewing machine at home and you are itching for a new way to express yourself and your creativity, then nothing shows that more than the clothes you are wearing! You can show what type of individual you are through your style. Making your own clothes is perfect, especially for those people who are tired of the cookie-cutter styles seen in the mall or different clothing brands. 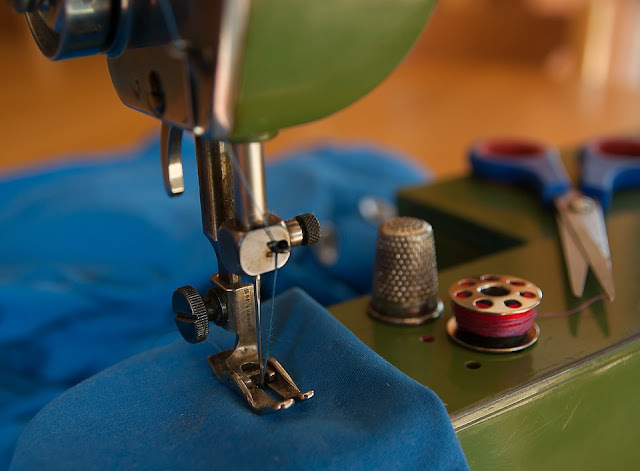 But you need to make sure that you possess the necessary skills in sewing to be able to pull off a good type of homemade clothing. You may need to choose a good type of fabric that you can easily work with. You may choose fabrics such as cotton-linen sheeting, royal challis, knits or double gauze for your fabric needs. It would help that you ask questions from the sales people at the store if you are not sure what your choice should be. Now if you are not yet confident in your sewing skills, you can actually upcycle some of your old clothes to make news ones. Now your next question may be, what type of clothing can you actually make at home? The possibilities are endless of course! Given the skill and material, you can create all sorts of clothing from the comforts of your own craft room. Here are some of the type of clothing you can create. 1. Scarfs – this is relatively easy so you can actually start with making these first if you are not yet sure you can pull off a complicated project. You can actually use an old t-shirt for this. Just lay it on a flat surface and cut off the lower part. You can now customize your scarf by using fabric paint, buttons or the like. 2. Dress – now this may sound complicated, but here’s a tip for you. If you have an really oversized, long skirt, or even t-shirt, you can turn it into a dress. Check out the many tutorials online to assist you in this. 3. Jeans/shorts – Okay, so this may not be homemade as it is actually difficult to construct these, but if you’re looking to stand out, you can use jeans to come up with a new look. You can cut off your old jeans and sew some lace patterns at the side, or you can paint your old jeans instead. 4. Customized t-shirts – how about creating a lattice effect on your old shirts? The best thing about this technique? No sewing skills required! You just need to be handy with your cutting skills to create the desired effect. 5. Baby bows – you can create little bows for your babies and daughters! All you need are scissors and some elastic bands or clips. 6. Bag – yes you can actually make your own bag at home. You just need sturdy fabric like canvas, iron, glue and some stitch adhesive plus a ruler. When you’ve done any of these projects, the next best thing to do is attach some custom labels on them. And if you want to give them out as gifts or to turn your homemade clothing into a small business, then use your own symbols on the labeling. Wunderlabel can print that out for you at really affordable prices, so check them out!